Last week Northern California was issue a storm warning. SAN FRANCISCO—A Pacific storm struck Northern California last week brining the possibility of more rain and wind to already flooded areas. The storm warning was issued early during the week to local areas specifically those who live near the San Joaquin River. 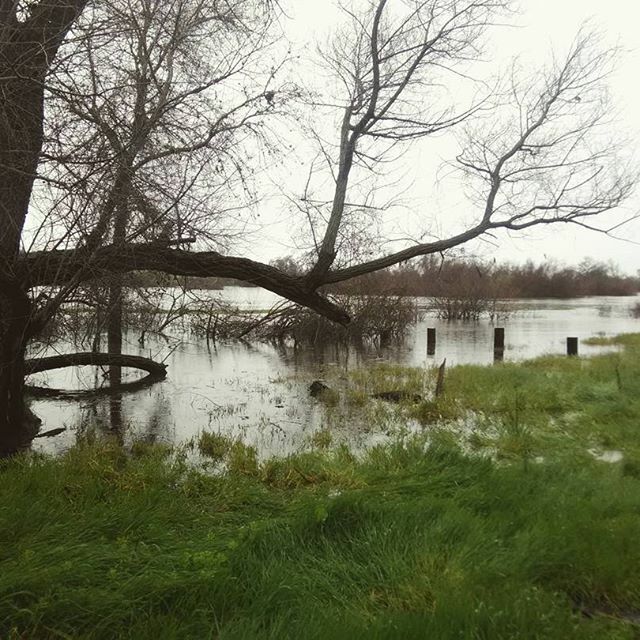 The San Joaquin River is being monitoring for its water levels in case of a quick evacuation. Tim Daly, a spokesman with San Joaquin County Office of Emergency told CBS San Francisco News of [a] “danger stage,” of the river. At the same time an evacuation warning was issued to residents. As reported by the National Wether Servicem the storm is expected to drop about 5 inches of rain through Wednesday. The latest weather development is expected to bring more water to the San Francisco area. Several areas have sustained damaged due to constant storms since early January. “We could see flooding in areas that haven’t flooded in a long time and there will be additional stress on levees, rivers, creeks & streams,” said the National Service. On Friday, February 17, Southern California was hit with its biggest storm recorded. The National Weather Service advised residents of San Francisco to remain on alert for additional storm warnings during the week. Next articleSan Francisco Labeled Fourth Congested City In U.S.